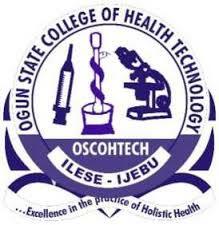 Applicatios are invited from suitable qualified candidates for admission into the Ogun State College Of Health Technology. Ilese-Ijebu for the 2017/2018 Academic Session. 2. Details of each programme requirements are explicitly stated on page 5 – 9. Applicants are advised to carefully read the requirements before making their application as error in the choice of course by applicants will not be tolerated. 3. Applicants awaiting results are free to apply. Such applicants should indicate AR in the column for O/Level Results on the Application Form. However, the O/Level Results being awaited must be ready before admission exercise as no student would be considered for admission without O/Level Results. 4. The requirements for admission into Higher National Diploma (HND) programmes includes; National Diploma (ND) not lower than Lower Credit in relevant course/programme in-addition to the Good O/Level requirements stated in (1) above. Note:The Access Card will be used after entrance examination.